L’idée du méandre est celle d’une pensée qui prend des détours, qui n’est ni droite ni fulgurante, mais qui se penche sur elle-même, se tord, se love et recoupe ses propres traverses. 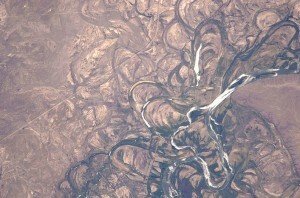 C’est aussi une pensée qui laisse des traces de ses anciens passages, comme ce fleuve argentin dont on peut examiner grâce à cette photographie (voir ci-dessous) prise de l’espace, les meander scars (cicatrices de méandre) – un véritable palimpseste naturel et spectaculaire. 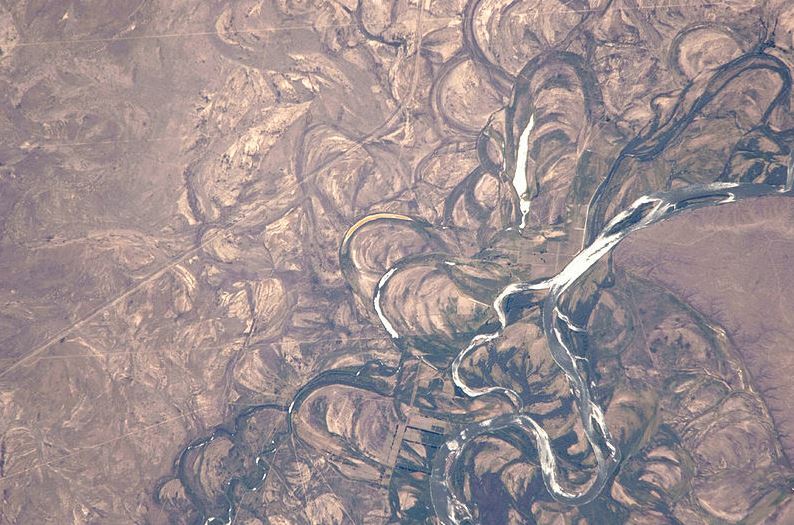 Here the Meander becomes a large river, and flows for some time through Phrygia; it then separates Caria and Lydia at the plain, as it is called, of the Meander, running in a direction excessively tortuous, so that from the course of this river all windings are called Mæanders (more). 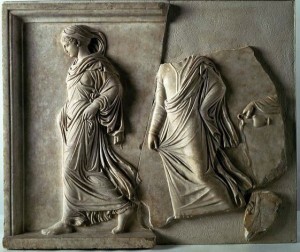 I had originally intended to write about archaeological inspiration in fiction writing (the backbone of my novel The 13th Tablet), but this will have to wait until next week. Today, I respond to a number of requests from readers urging me (how ironic in this context) to provide more information about Freud’s compulsion for antiquity (read R. Armstrong’s excellent book on the subject: see references below). There are a number of strands of thought here, but I will discuss only two, Freud’s urge to collect antiquities (rather than brightly coloured bathtub ducks) and the uncanny (unheimlich) similitude between the archaeological and psychoanalytic methods. Everyone has found in the ancients whatever he needed or wished for; especially himself (Athenäums-Fragmente 15). Freud with his copy of Michelangelo’s Dying Slave. Freud was hardly different. Indeed, long before he established the Oedipus complex, probably one of the most influential and powerful theories of the last century, Freud travelled with his brother to Rome and Athens on his Grand Tour of the classical world. He later described how shocked he had been by his own derealisation during his visit of the Athenian Acropolis, i.e. he had suddenly realised that these ancient places actually existed. He wrote “So all this really does exist, just as we learnt at school!” Antiquity was not just a distant memory, or an intellectual exercise, but something real and deeply embedded in his (our) culture. Did he begin collecting antiquities to perpetuate this visual connection to the past? Visual proof of a powerful belonging rather than mementos of imaginary journeys learnt at school? 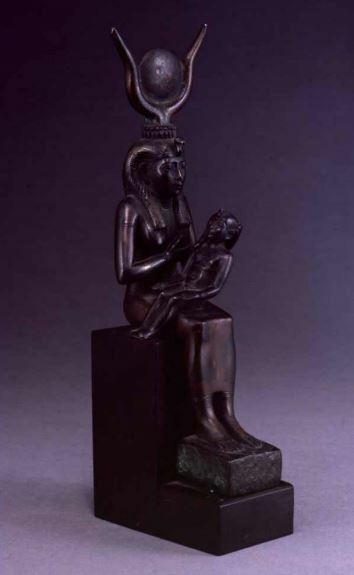 Interestingly, a number of the objects in the collection were fakes. For instance, a falcon headed “Egyptian” figurine which turned out to be a gessoed 19th century painted wood forgery! Would Freud have been frazzled at the idea of perpetuating a link with a “valued” past based on forgeries? I don’t know. 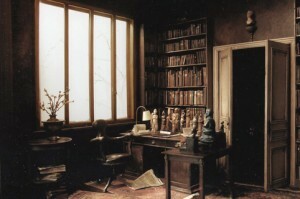 In the same order of ideas, see the rather fascinating “forgery” and thought-provoking artwork, the Bureau de Sigmund Freud (2002) by the contemporary artist Charles Matton, who created a number of Boites, hommage-reconstructions of the workplace or atelier of famous artists and thinkers. The psychoanalyst, like the archaeologist, must uncover layer after layer of the patient’s psyche, before coming to the deepest, most valuable treasures. This analogy between the logical progression and methods used in both disciplines could be stretched a little farther: in the same way that a psychoanalyst must undergo a psychoanalysis before and whilst psychoanalysing others, an archaeologist must be aware of his personal biases and the anthropological history of his discipline to be able to move forward. Stretching further still the analogy: on an excavation there is a layer that non-initiates are unaware of. We call it the archaeologist’s stratum… the layer of dirt we bring ourselves (!) to the dig, as we walk, carefully, here and there, a layer which must be discounted in our analysis and stratigraphy. 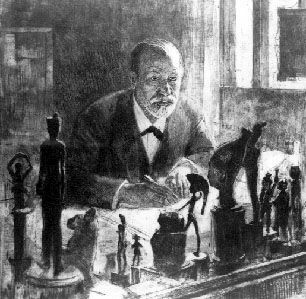 The most dazzling and endearing encounter between archaeology and psychoanalysis is in Freud’s analysis (“Delusions and Dreams in Jensen’s “Gradiva”, 1907) of a novella by the German writer Wilhelm Jensen, The Gradiva, a pompeiian fantasy (1903), probably the first psychoanalysis of a literary work. And she departed, after having introduced herself to us as the daughter of the zoologist and lizard catcher and after having, by all kinds of ambiguous remarks, admitted her therapeutic intention and other secret designs as well (Freud, Delusions and Dreams in Jensen’s “Gradiva”). 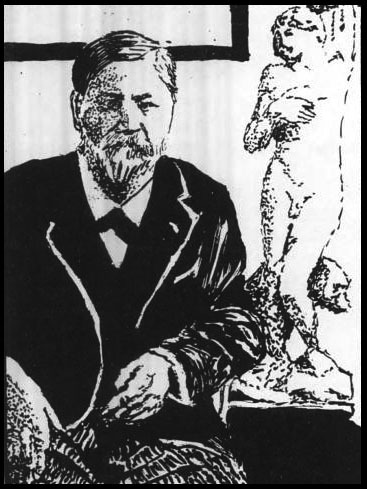 Freud’s take on the story (which was brought to his attention by Carl G. Jung) consists in the psychoanalysis of Norbert Hanold who was himself (in Freud’s reading) Gradiva’s analysand. The happy conclusion to this impossible situation, comes through the process of transference, when a patient’s feelings for a valued figure are transferred onto the analyst. Freud hung a plaster cast of this relief in his study as close as possible to his famous couch! A number of writers have been fascinated by the ways in which art historians, archaeologists, psychoanalysts and detectives all share the same logical processes. Carlo Ginzburg writes (“Morelli, Freud and Sherlock Homes” | PDF) “Let us take a look at the method itself. Museums, Morelli said, are full of wrongly- attributed paintings -indeed assigning them correctly is often very difficult, since often they are unsigned, or painted over, or in poor repair. So distinguishing copies from originals (though essential) is very hard. To do it, said Morelli, one should abandon the convention of concentrating on the most obvious characteristics of the paintings, for these could most easily be imitated – Perugino’s central figures with eyes characteristically raised to heaven, or the smile of Leonardo’s women, to take a couple of examples. Instead one should concentrate on minor details, especially those least significant in the style typical of the painter’s own school: earlobes, fingernails, shapes of fingers and toes”. Thanks to this method, Morelli was able to cleverly find the unconscious details, the slips of the brush so to speak, of these grand and little masters and quite accurately attribute the right paintings to the right artists. This method was later used by Sir John D. Beazley with great success in the stylistic attribution of hundreds of thousands of ancient Greek vases (read more). What is fascinating to me is the methodological similarity between archaeology and psychoanalysis: the focus is not on what is seemingly important but on minor details, what is mentioned “in passing”, just like the tale-tell hesitations, lies and avoidances in therapy. Armstrong, R., A Compulsion For Antiquity: Freud And The Ancient World. Cornell University Press, 2005 | Burke, J., The Sphinx on the Table: Sigmund Freud’s Art Collection and the Development of Psychoanalysis, Walker & Company, 2006 | Barker, S. (ed. ), Excavations and Their Objects: Freud’s Collection of Antiquity, State University of New York Press, 1996 | Bergstein, M., “Gradiva Medica: Freud’s Model Female Analyst as Lizard-Slayer”, American Imago 60.3, 2003, pp. 285-301 | Gamwell, L. and Wells, R. (eds. ), Freud and Art: His Personal Collection of Antiquities, State University of Binghampton and Freud Museum London, 1989 | Gay, P., Sigmund Freud and art: his personal collection of antiquities, Harry N Abrams, 1993 | Ginzburg, C. & Davin, A., “Morelli, Freud and Sherlock Holmes: Clues and Scientific Method”, History Workshop 9, 1980, pp. 5-36 | Muensterberger, W., Collecting: An Unruly Passion: Psychological Perspectives, New York: Harcourt, Brace & Company, 1994.